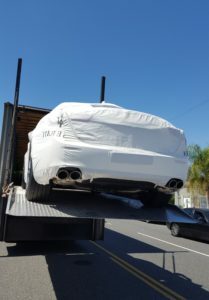 Car Shipping is a great choice when you need to move a vehicle. It is a very popular service used by businesses, individuals and car dealers. And it can help you in many kinds of situations. Maybe you are moving or going away for work. You might be leaving to study at a college or going on a long vacation. Or maybe you are a company owner and you need to move your commercial vehicles. Moving a car (or other vehicles) just takes some research and shopping around to find the right auto transport company. Omaha Car Transport is your reliable Omaha Car Shipping provider. You can ship any vehicle across the country with one of our car carriers without any hassle. We can help you with car transport, truck shipping, van shipping, trailer transport and many other types of Omaha Vehicle Shipping. We ship vehicles all over the United States, including Alaska and Hawaii. If you are looking for a stress-free way to move your vehicle, Omaha Car Transport can provide you with one! We work only with the most reliable car carriers. You will be provided with insurance for your car for the time of auto transport and will always be able to call us and ask about the status of your delivery. At Omaha Car Transport we take care of every step of your shipping process to make sure you get your car on time and in great condition! We offer Open Auto Shipping and Enclosed Auto Transport, so you can always choose the method that works best for you. We can also do urgent delivery with Expedited Car Transport. Get a free quote from us today and ship safely! Omaha Car Transport will be happy to ship your vehicle for you.